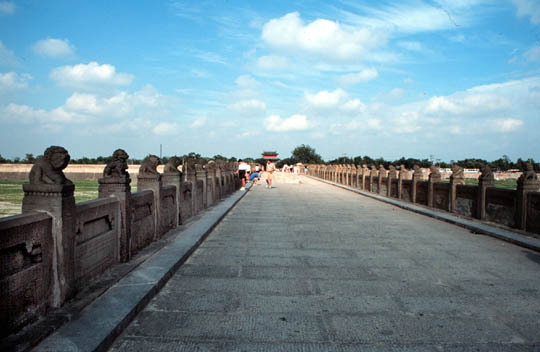 Marco Polo bridge was first constructed in 1192, but the original stones were washed away in a 17th century flood. It has 260 meters long with nearly 500 carved stone lions. The bridge is famous because it is mentioned in the annals written by Marco Polo.